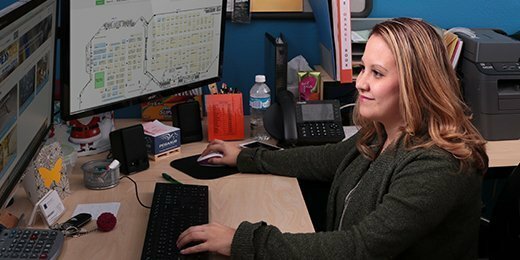 Our Project Managers are your secret weapon for your successful tradeshow. They are constantly working behind the scenes to arrange logistics, meet deadlines, monitor progress, and stay within your budget. With Exhibit Network executing your project from start to finish, you have some extra time. Go to Happy Hour. 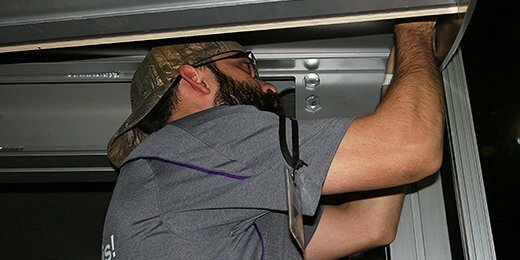 Safety and efficiency are two mandatory requirements for your I&D crew. First, nobody should get hurt, and second, efficiency saves you time and money. 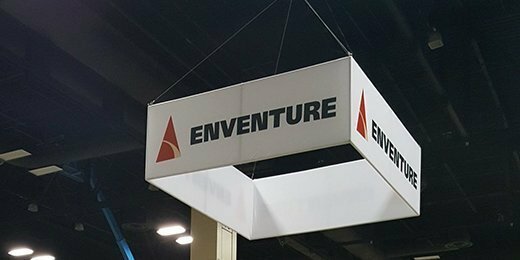 Another requirement is the ability to deal with unforeseen obstacles, because tradeshow installations are notorious for a spontaneous crisis or two. Relax … we got this. Show Services forms seem to cause the most confusion for exhibitors. They’re full of small print, regulations, deadlines, and a vocabulary requiring a translator at times. When Exhibit Network orders all the show services for you, rest assured you are getting the services you need at the lowest rates available. Breathe. Relax. Shipping is a very critical part of every tradeshow, and can cause anxiety with words like advance freight and marshalling yard. One wrong decision and you can miss your target move-in time. Let Exhibit Network handle all your shipping to and from the show and never miss a deadline again. Be stress-free. 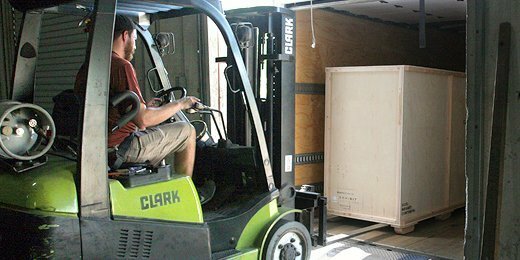 What do you do with your exhibit when the show is over and your next show is several months away? You store it in Exhibit Network’s 42,000 sq. 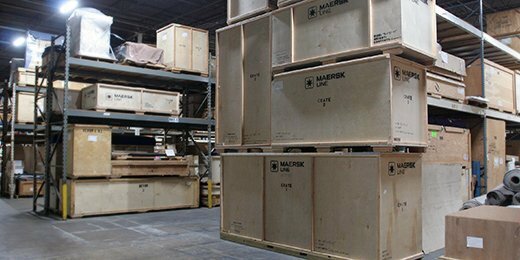 ft. clean, organized, and efficient onsite warehouse where your exhibit is always treated with tender loving care. Of course, you are always welcome to visit. Have peace of mind. The only decision you should make about your carpet is do you want single or double pad. 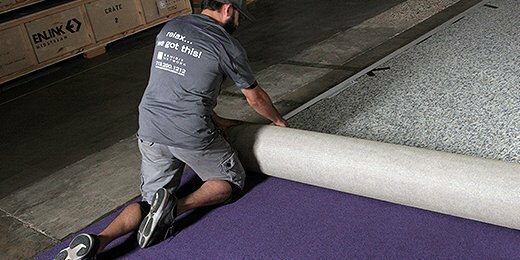 Exhibit Network provides only top-quality, clean carpets that are easy on the feet and the budget. And we will recommend the best color to complement and enhance your brand. Ask about our other flooring options. Stand tall. 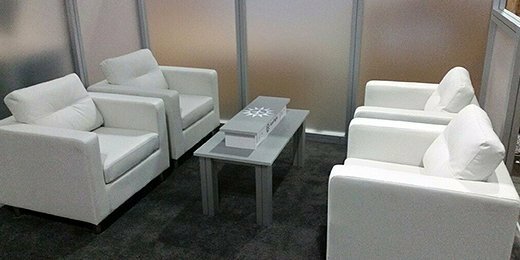 Furniture adds a welcoming appeal to your exhibit and invites attendees to stay awhile. Choose from our selection of high quality tables (bistro, coffee, side, and conference), chairs, barstools, love seats and sofas for rental or purchase. Ask about having your logo on a custom table. Sit back and feel at home. A big mistake we see some exhibitors make is the overuse of accessories. The accessories in your booth should be purposeful. Anything more is just clutter. 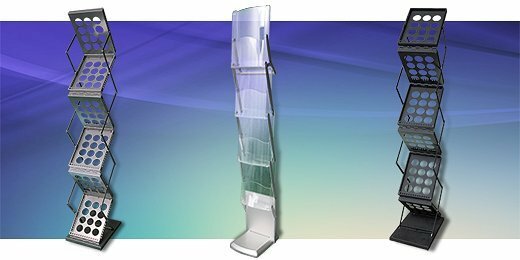 We’re here to help you make the best choices from our inventory of charging stations, iPad stands, literature racks, and glass bowls. Be stress-free.